Sheet size: 10" x 10.25"
These quality 1-ply hand towels manufactured by Boardwalk are absorbent and durable, the ideal economical towel for hand washing and general cleaning tasks. Made from recycled contents and meeting EPA guidelines, these C-Fold Towels are an affordable, eco-friendly hand towel option. 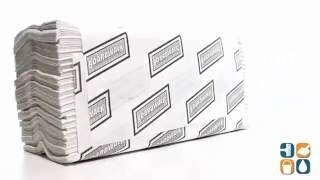 Boardwalk paper towels are great for any office or facility restroom. The dimensions of these C-Fold Hand Towel Sheets are: 10" x 10.25". Browse our full selection of paper towels and janitorial products right here at CleanItSupply.com to get the lowest prices around. Stock up today and save! Greta product, great prices! Exactly what we needed for our small office. Good quality for competitive prices. Got order very quickly. Would not be interested in using this company again.